The use of biological markers like fingerprints, faces and irises to identify people is rapidly moving from science fiction to reality. Apple’s latest iPhone, which went on sale this week, can be unlocked with a fingerprint. Users of Android smartphones can unlock their devices with a glance. And the Federal Bureau of Investigation isdeveloping facial recognition technology that would allow it to pinpoint criminals and suspects in large crowds of people with closed-circuit cameras. Once so expensive that it was used only by the military or high-tech companies, biometric technology has become so commonplace that even some schools and hospitals are using it. Its adoption could make sensitive information more secure than conventional identification cards or passwords, which can be easily forgotten, lost or hacked. But it also has the potential to undermine privacy, which has been greatly compromised by recent revelations about government surveillance of phone and Internet communications. In fact, biometrics are not as safe as is often thought. A 2010 report from the National Research Council concluded that such systems are “inherently fallible” because they identify people within certain degrees of certainty and because biological markers are relatively easy to copy. 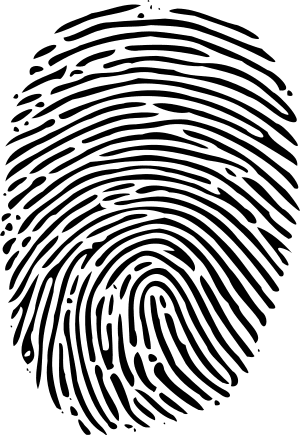 For example, people leave their fingerprints on everything they touch, which makes those fingerprints available to any determined spy or law enforcement agent. Experts have shown that fingerprints and other markers can be copied, giving hackers and thieves access to private information. And once compromised, fingerprints cannot be reset, like passwords, or replaced, like passports.